Phoenix, Arizona – For the first time ever, the 2019 IIAR Natural Refrigerants Conference and Expo included a new Commercial and Food Retail track, developed in partnership with the NASRC. This new educational program featured technical papers, panels, and workshop presentations. The track brought new attendees from the supermarket sector, including national and regional chain retailers, service contractors, and equipment manufacturers. The new Commercial and Food Retail track represents an expansion of IIAR’s traditional focus and expertise in industrial refrigeration. While the industrial sector has in-depth experience with ammonia, natural refrigerants still represent less than 1% of supermarket installations. As regulations drive the adoption of more environmentally friendly technologies, the need for education and technical resources is expected to grow. The International Institute of Ammonia Refrigeration (IIAR) is an international trade association who has historically focused on the safe and efficient use of ammonia as a refrigerant, primarily used in industrial applications. In the last decade, IIAR has expanded their mission to include all natural refrigerants in new applications such as food processing, cold storage, and food retail sectors. More recently they have introduced initiatives focused on carbon dioxide and hydrocarbons, which incorporate the commercial refrigeration sector. 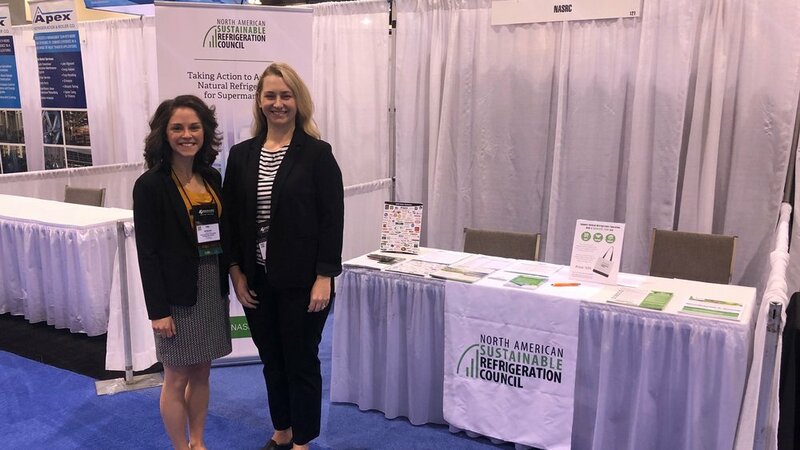 The NASRC is a 501c3 nonprofit organization spearheading efforts to eliminate the barriers preventing the widespread adoption of natural refrigerants in supermarkets. Our network of members is composed of leaders from the supermarket industry, including major manufacturers of commercial refrigeration equipment, service contractors, design and engineering firms, utilities, trade associations, and over 22,000 supermarket locations in North America. In 2020, the IIAR conference will be held in Orlando, Florida, March 15-18. The conference will again feature a commercial track and exposition for heavy equipment. “We are honored to have partnered with IIAR on the launch of this commercial track, and look forward to supporting its growth in future years”, said Wright. For more details on the 2019 IIAR Commercial and Food Retail Track, including session descriptions and presenters, click here.